Enjoy Yorkshire's very best as it explodes in springtime beauty. Discover iconic railway journeys, abbey ruins and castles in stunning locations used to inspire writers and painters throughout the centuries. Following collection from home, travel to West Yorkshire and the Mercure Bradford Bankfield Hotel for the four night stay including dinner, bed and breakfast. On arrival, be greeted with tea, coffee and biscuits. This morning, explore the pleasant North Yorkshire market town of Settle before enjoying a ride on the Settle and Carlisle Railway, considered to be one of England's most scenic rail journeys. 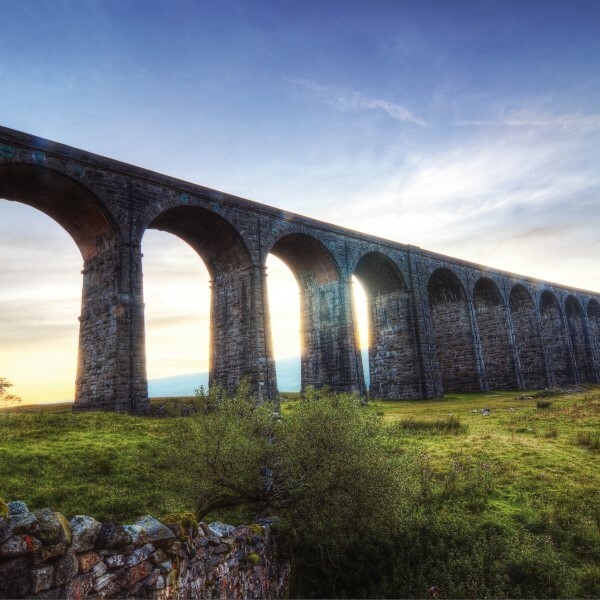 Join the diesel train for the journey to Garsdale, passing through spectacular scenery, crossing the famous Ribblehead Viaduct and stopping at Dent, the highest mainline station in England. At Garsdale, journey by coach to Hawes, the main town of the dale, to obtain lunch before travelling through the Yorkshire Dales to the former spa town of Ilkley, sheltered by Ilkley Moor and the Cow and Calf Rocks and home to Bettys Tearoom. Travel along the Aire Valley to Skipton - 'Gateway to the Dales'. The main street houses the well-known market and Skipton Castle stands proudly at the top of the street. Whilst in Skipton, enjoy a canal cruise on one of the country's best-known inland waterways. Continue to Haworth, home of the famous Bronte sisters and their notorious brother. Little has changed in the village since they lived at the Parsonage. Later, travel by steam on the Keighley and Worth Valley Railway, following the locations used in the film 'The Railway Children'. Today begins with a visit to Bolton Abbey, set in a beautiful and tranquil location alongside the River Wharfe, surrounded by moorland, woodland and riverside - a truly inspirational setting. Enjoy a stroll before heading to Bolton Abbey station for a steam ride on the Embsay and Bolton Abbey Railway. Later, continue through beautiful Dales scenery to visit the Dales village of Grassington with its cobbled street, diminutive market place and quaint byways and alleyways. Staying at the Mercure Bradford Bankfield Hotel where arriving is part of the experience. Located in private grounds, the hotel retains the atmosphere of a private residence with views over the Aire Valley.